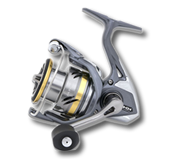 It could be the fact that pennies are in short supply (kids pressies, Xmas shopping) etc, or just the fact that folk know that they have a new rod/reel and are just waiting to try it out (she who must be obeyed ) wont let them use it till Christmas day! lol. Either that or it's to bloody cold and windy and wet for us old folk and we are waiting for better weather. Last edited by rabbi2 on Sun Dec 22, 2013 8:36 am, edited 1 time in total. as keith has said .pennies tight with xmas.personally any chance i can get iam on the beach less than a jacks,fiver.can get you fishing.the weather hasnt been brill as of late.also its always slow on the post front until march time now. no reason though to be quite .if your not fishing there is always questons to be answered on the fishing front ,thats what forums are there for.